No matter what service your company offers, the chances are that you want to get paid for it. That is, after all, what business is all about. Without the payment part, it would just be charity. Your staff would soon leave you, and your materials would dry up. It’s no surprise, then, that most companies spend some time developing an invoice system which works. This is the only sure way to get paid and allows you to keep track of all the money you have going out and coming in. 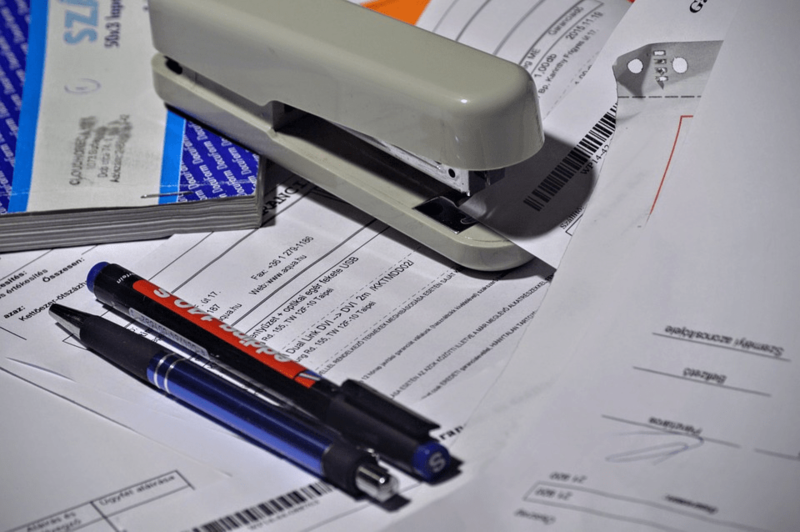 There are many guides out there about how to get your invoices right so that we won’t go into that here. For the most part, it’s all logical stuff. You should put your company logo, name, and address on the page somewhere. You should also itemize each cost, and include a total. And, don’t forget your payment details if you want to get a penny. Aside from that, though, many companies make silly mistakes with their invoices. Worse, these can mean that you don’t have a leg to stand on if your customer chooses to mess you around. And, you can rest easy that where money is involved, most people will try it on if they can. To make sure you don’t fall into this trap, we’re going to look at some of the costly invoice mistakes which could leave you out of pocket. Before embarking on any project, it’s essential you agree to terms with your customer. This involves everything, from the cost of labor, to cost of materials, and so on. It’s vital you both know that you’re on the same page. It may be that you know how much a job will cost from the off. In this instance, send an invoice before starting work. Have your customer confirm they’re happy before you go ahead. Of course, in other situations, you won’t know how much a job will cost, say if your team are paid by the hour, and so on. But, you should always be able to provide an estimated cost which you can offer beforehand. To ensure that estimate is as accurate as possible, you may want to work with a field service management company who provide software which can help you. Either that, or you’ll need to add all possible costs by hand. Either way, make sure your customers know this is not a set amount, but a rough idea of costs. Failure to take the above steps could result in a customer refusing to pay. The amount may be far higher than they were expecting. On top of which, they may not have realized that labor was by the hour. Clear everything first to avoid refusals when the time comes and it’s too late to change anything. Mistakes in your invoices look unprofessional. More than that, they could end up costing you. Something as simple as entering the wrong total figure could result in a significant loss. You can hardly turn around and ask for the invoice back, then add a few hundred to the total. Your customers would, quite rightly, stand their ground on the original figure. In short; once you put the thing out there, there’s not a lot you can do. With that in mind, proofread your invoices, then proofread them again. Get someone else in the office to check, too. If this is something you’re worried about, you could even let the experts handle this, too. The same services mentioned above can reduce data entry errors for you. That said, it’s still always worth double checking your work. Software like this will only pick up on obvious discrepancies, after all. If you completely forget to add a service to the list, there’s no way your computer can know it. It may sound strange, but forgetting to send an invoice happens more often than you might think. When work piles up, it’s one of those chores which merely falls by the wayside. But, if you don’t bother to send an invoice, it’s unlikely your customer will remind you. Why should they? So, you’ll either send it too late to warrant payment or forget about it altogether. This is an obvious cause for an extreme loss on behalf of your company. Depending on the job, that could be thousands down the drain. Bear in mind, too, that only 18% of invoices sent 90 days after a job are paid. So, even forgetting in the short-term will cost you. To make sure this doesn’t happen, develop a foolproof method of getting invoices to your customers. Invoicing before a job could be a way around this if possible. Or, making sure to take an invoice along before you pack up and leave. You could even rely on your software again, here, and automate invoices to ensure they go out, even if you do forget. Either way, this is something you need to get on top of. Even if you do manage to get that invoice out on time, forgetting to put a due date on there is a massive mistake. How else can you ensure that your customers pay you soon? If you haven’t specified, they’re free to kick back and pay whenever they fancy. And, it should go without saying that no business should be at the mercy of a disgruntled customer. Instead, ALWAYS include a due date. The best bet would be to keep it within a month of your invoice date. Then, you’ll be in a better position to maintain control of your finances. Keeping the date close by also ensures the payment doesn’t slip anyone’s minds. Unsurprisingly, an extended date is a convenient excuse for missed payments. Having a set date will also help you judge which customers are going to cause you issues. Otherwise, you may not know until it’s too late!